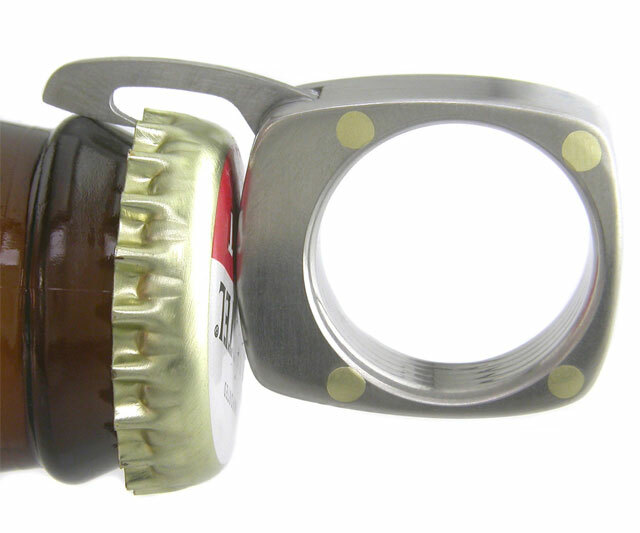 The next generation of bottle opener rings settles into a titanium home. With roommates. Designer Bruce Boone has thrown ultra-sharp twins Straight Blade and Serrated Blade, wily bad boy, Saw, and ...yahtzee!...the dapper Mr. Mustache Comb into the mix for what surely has the makings for the next big multi-tool Real World. 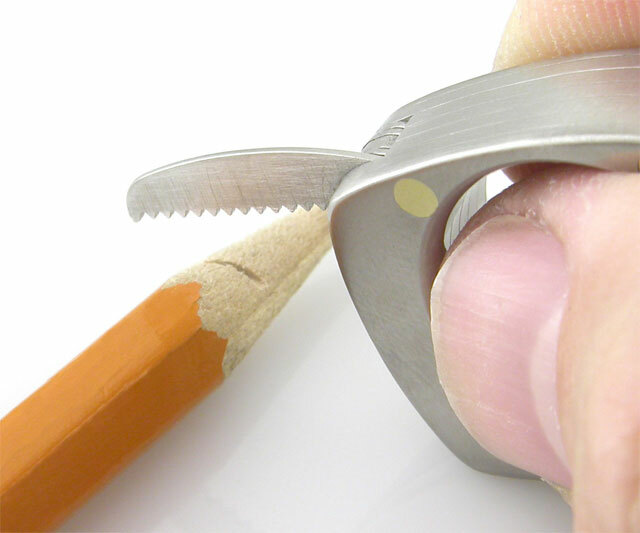 Crafted from aircraft-grade titanium, the utility ring's implements unfold Swiss Army-style from a brushed finish casing. The straight blade deftly cuts packing tape or fishing line, the serrated blade nylon strapping or heat-sealed electronics packages, and the saw plastic and wood. I think Mr. Mustache Comb's talents go without saying. 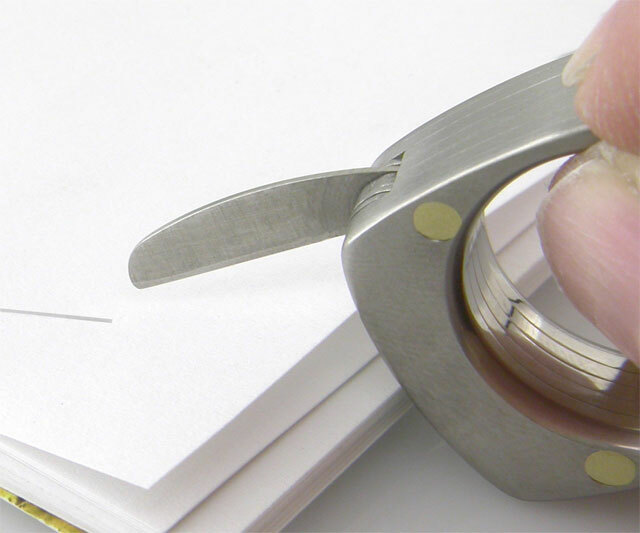 Width is a standard 9mm, though ring sizing is customized to the buyer's finger. 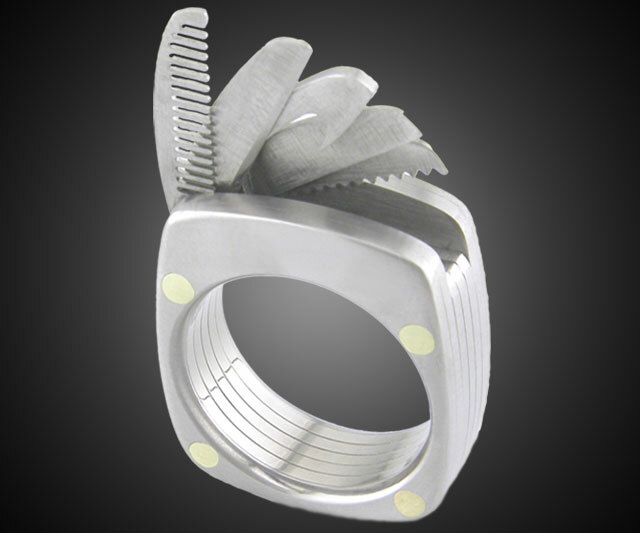 Boone warns that his titanium jewelry carries the "utility" designation because it is not a toy and will probably splice open your finger if you monkey with it too much during marathon business meetings and your girlfriend's stories about her day.